Sunburn treatment always starts with prevention. Correctly using sunscreen will help prevent burns. Make sure you know sunscreen myths versus facts when out in the sun. Sunburns are caused by UV radiation rather than heat. It doesn't have to be a hot day to get a sunburn. It's the sun that makes the difference, even on an overcast day. You can get a sunburn on a cold, windy day while skiing or a bright, warm day on the beach. Sunburns – like all burns – destroy skin, and it's skin that controls the amount of heat our bodies retain or release. Skin also holds in fluids and protects us from infection. They're categorized like any other burn, by degree and size. Sunburns rarely develop into third-degree burns, but both first- and second-degree sunburns are common. Sunburns of at least second-degree depth and of sufficient size are just as critical as large, serious burns caused by heat. Remember always: if you think a burn of any type is significant, do not hesitate to call 911 immediately. Get out of the sun. Staying in the sun after the burn is present will make it worse. 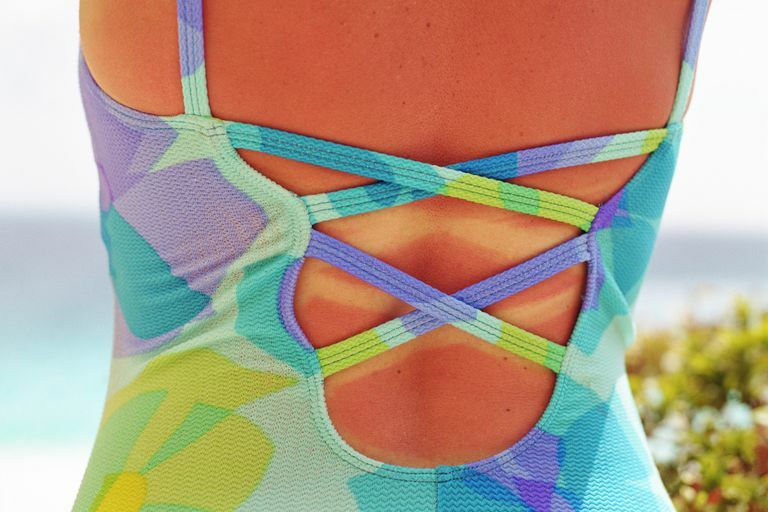 A sunburn could seem worse the next day, and it can get worse before it gets better. Look for blisters. Blistering means the skin is completely damaged and complications are likely. If the area with blisters is bigger than one entire arm or the whole abdomen, seek medical attention by calling 911 or visiting the emergency department. Take a cool shower or bath to soothe the pain. Apply aloe or another cooling agent. Whatever you use - DO NOT APPLY BUTTER OR OIL TO ANY BURN! Burns cause swelling. Burns of the face and neck can sometimes swell enough to cause difficulty breathing. If that happens, call 911 immediately. There's no evidence that creams or ointments of any kind speed up healing. Cooling agents, like aloe, only help with discomfort. Burns that completely circle the hands or feet may cause such severe swelling that blood flow is restricted. If swollen or tight hands and feet become numb and tingly, blue, cold, or "fall asleep," then call 911 immediately. While the burn is healing, wear loose natural clothing like silks or light cotton. Harsher fabrics will irritate the skin even more. Too much sun can also cause heat illness. Learn how to recognize and treat heat exhaustion and heat stroke. Faurschou A, Wulf HC. Topical corticosteroids in the treatment of acute sunburn: a randomized, double-blind clinical trial. Arch Dermatol. 2008 May;144(5):620-4. doi: 10.1001/archderm.144.5.620. Han A, Maibach HI. Management of acute sunburn. Am J Clin Dermatol. 2004;5(1):39-47. Review.